It’s no secret that women are fairly complex creatures. Men find themselves at a loss as to the best ways to convey how much their girlfriend means to them. If you think that you’re in this boat alone, think again. However the things that make a woman feel special are pretty straightforward and simple. Here are five things that men should do for their girlfriends. At every turn women are surrounded by idealistic beauty standards that will never live up to. It’s enough to take a serious toll on her and her ego. Simply reminding her each and every day that you think she is beautiful will make her feel like the most important girl in the world. It costs you nothing but means everything. It’s completely understandable that some men are not up for physical displays of affection. Nonetheless, the simple act of holding a woman’s hand makes her feel safe, secure, and valued by you. It’s a perceived motion from your body language. 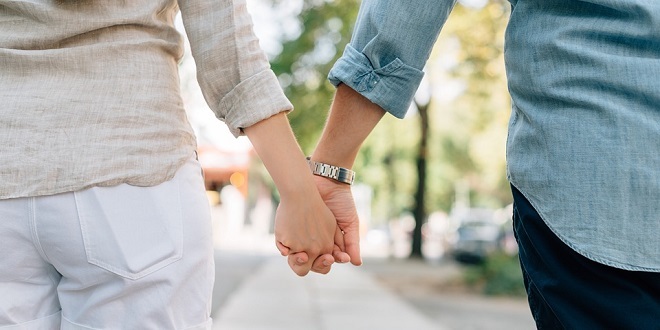 When you choose to hold her hand out in public, when you’re around friends and family, or even the privacy of your own home, you give her that security she wants to feel from her relationship. The advancements in mobile technology has led us to be the type of individuals who never leave messages if someone doesn’t answer the phone. However, women love the sound of a man’s voice. If you happen to call it she doesn’t answer, leave her a message. It’s another simple act that shows you care enough to take the time to let her know what’s going on instead of leaving her staring at your name on the screen wondering if there’s a problem. When out in public, women look for small signs that you are proud to be with them. This comes by showing affection in little ways. It can be as simple as a kiss on the forehead, putting her arm around her, or holding her hand. Whatever it is when you do in public she feels extra special. It’s very common for men to withdraw from their relationships when they have an excess amount of stress in their life. Women view this as a tactic that shows you do not want them. Instead of withdrawing, deal with your problems alone on your own time. If you need some time to decompress simply tell her that. But try not to take away from your time with her by being too consumed with other things that are going on in your life.